"It is a privilege to be a striker for this team," said Harpa Thorsteinsdóttir after her Stjarnan side claimed the Icelandic title with a 4-0 win against Valur on Wednesday evening. Thór/KA have secured the Icelandic women's title for the first time after an emphatic 9-0 defeat of Selfoss clinched the crown with one game to spare and ensured a European return. "This is the beginning of a great era," said Stjarnan captain Gunnhildur Yrsa Jónsdóttir after they clinched their first Icelandic women's title and earned a European bow for next year. The round of 16 lineup is complete with 2010 runners-up Olympique Lyonnais, former champions Arsenal LFC and Everton among the seven sides, all at home, who advanced. Holders 1. FFC Turbine Potsdam are among 12 home sides defending leads in this week's round of 32 second legs but clubs like Valur Reykjavík and Everton have a much tougher task. AZ Alkmaar coach Ed Engelkes compared playing Olympique Lyonnais women to facing Real Madrid CF's male side as UEFA.com rounds up reaction from the round of 32 first legs. FCR 2001 Duisburg have one foot in the last 16 after Inka Grings scored four in their 5-0 win at CSHVSM while FCF Juvisy Essonne and Rayo Vallecano are also well placed to progress. Holders 1. FFC Turbine Potsdam and past winners Arsenal LFC are among the top seeds beginning their campaigns in the UEFA Women's Champions League round of 32. Valur Reykjavík have secured their fifth straight Icelandic title, completing a clean sweep of trophies. Coach Freyr Alexandersson is now turning his thoughts to Rayo Vallecano de Madrid. At least one team will be competing in the UEFA Women's Cup final for the first time after some surprise results at the quarter-final stage. Arsenal LFC 4-1 Breidablik (agg: 9-1) There will be a new UEFA Women's Cup finalist this season as Arsenal comfortably sealed a last-four date with Brøndby IF. Breidablik 0-5 Arsenal LFC Four goals in ten second-half minutes saw Arsenal complete a comprehensive quarter-final first-leg win in Iceland. The Icelandic town of Kópavogur, with a population of 30,000, is the venue for a European quarter-final on Thursday when Breidablik entertain Arsenal LFC in the UEFA Women's Cup. Mary Phillip believes this could be the year the English champions Arsenal LFC reach the UEFA Women's Cup final as they prepare for their last-eight tie with Breidablik. Holders 1. FFC Frankfurt will kick off the UEFA Women's Cup quarter-final stage on 11 October after the fixtures for the four ties were confirmed. Group 1 review: UEFA Women's Cup holders 1. FFC Frankfurt began their title defence by comfortably winning the pool ahead of Icelandic challengers Breidablik. Holders 1. FFC Frankfurt and the other former winners Umeå IK and 1. FFC Turbine Potsdam get their campaigns started in this week's second qualifying round. Valur Reykjavík took the Icelandic Cup and completed the double with a penalty shoot-out win against UEFA Women's Cup contenders Breidablik. Club history: The only founder members of the Icelandic league still in the top division, Breidablik took their title tally to 15 last season. Seven players scored five goals apiece in the UEFA Women's Cup first qualifying round - and five will get the chance to add to that tally in the next stage. The 16 teams which will contest the second qualifying round of the UEFA Women's Cup are known after nine first qualifying round groups concluded at the weekend. 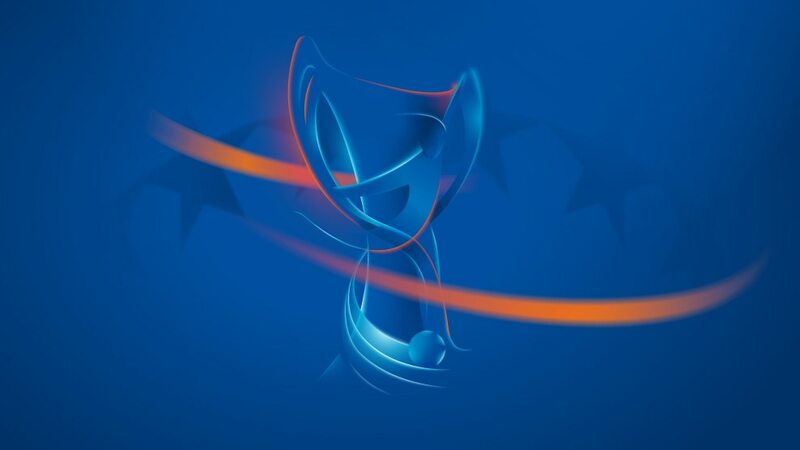 Universitet Vitebsk, HJK Helsinki and Breidablik have clinched places in the second qualifying round with a match to spare and RCD Espanyol are also through. There were ominous results from the champions of Russia, France and Hungary as the UEFA Women's Cup first qualifying round kicked off on Tuesday. The 2006/07 UEFA Women's Cup gets under way on Tuesday with France's FCF Juvisy and former semi-finalists HJK Helsinki among 36 clubs in action. Forty-three teams were involved as the draws took place for the first and second qualifying rounds of the 2006/07 UEFA Women's Cup at UEFA headquarters in Switzerland. Fortuna Hjørring reached the UEFA Women's Cup quarter-finals at their first attempt.